Dado carved in bas-relief (type 34b). This type is represented by one specimen. The existing decoration is composed of a (single or double) sequence of interlaced trilobated arches. The arches are plain inside and alternate with vertical motifs created by split-palmettes and fleur-de-lis. The artifact was first recorded in the Rawza Museum in Ghazni in 1957. 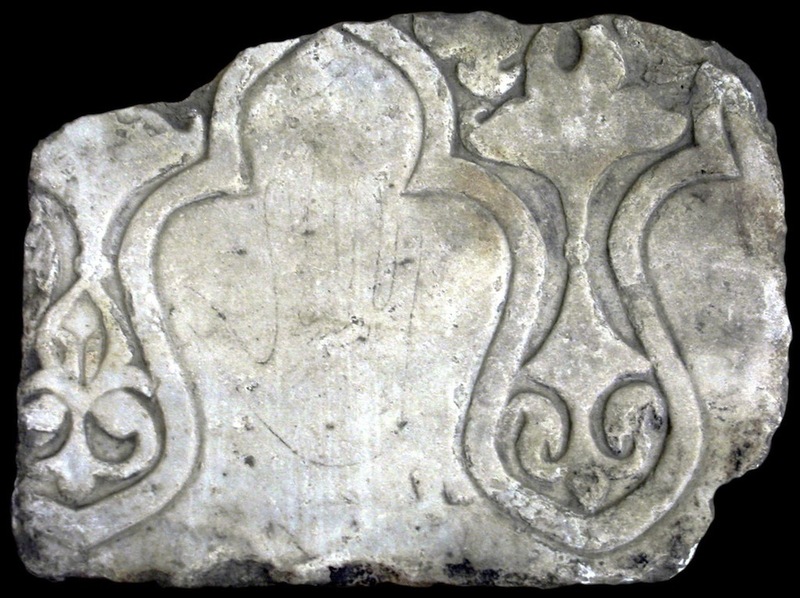 Type 34b might have been used as an architectural dado or as a tomb paneling. It differs from dadoes type 34a for the vegetal motifs.